My parents recently came back from Uganda after participating as Curricula Consultants with “Teachers Helping Teachers” and they’re coming over tonight for dinner. So today’s TorontoWalk will include a stop off for some groceries at a Dufferin locale. But! The history! 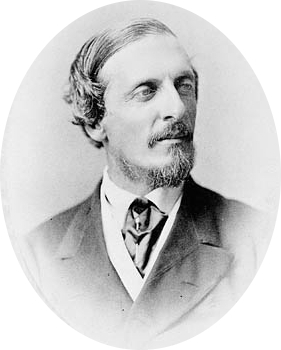 “Dufferin” is named for Frederick Hamilton-Temple-Blackwood, 1st Marquess of Dufferin and Ava, who served as Governor General of Canada from 1872 to 1878. He’s known as one of the most successful diplomats of his time, due in part to his work in Syria and Lebanon – and in part to having pretty outstanding facial hair. The Dufferin Mall and Dufferin Grove Park area – in addition to being one of many a race track in Toronto – also served as a stadium for events like circuses and wild west shows like the Young Buffalo wild west shows that featured performers such as Annie Oakley, “peerless rifle and wing shot of the world.” Just imagine: Annie Oakley, the animals and performers of the circus marching along Bloor and Brock from the old TTC barns on Lansdowne down to the track on Dufferin. North of College, and west of Dufferin is the former village of Brockton and on the east is the Dufferin Grove neighbourhood, named after the park on the east side of Dufferin. 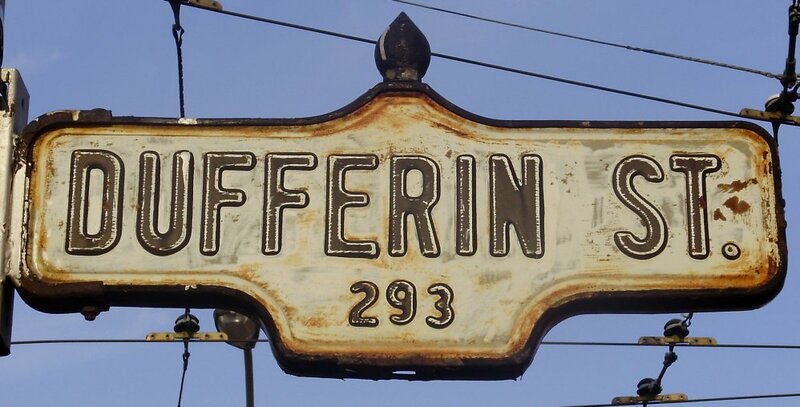 From Bloor Street to Davenport, Dufferin is lined with homes built from the 1920s to post-World War II. The Galleria Mall is located on the west side of Dufferin and on the south side of Dupont Street, and for most in the area, it serves as a reminder of local business struggling against a lack of consistent anchor stores. After Zellers was replaced by… nothing,. The only things holding this building together are the Fresh Co, LCBO, and Dollar store. The neighbourhood west of Dufferin in this area is known as Wallace Emerson, while on the east it is known as Dovercourt Park (which recently launched a Community Association). North of Davenport, Dufferin ascends the former Lake Iroquois shoreline escarpment.